Finish your bathroom with a bespoke vanity unit, sink surround or bath surround made for you at an affordable price. Despite the name, a bathroom vanity unit may be the most practical piece of furniture in your home. Typically creating both storage and countertop space, a vanity unit gives you space to have everyday essentials easy to hand while storing less attractive necessaries out of sight. If your bathroom does heavy duty, going from work and school staging area to toddler bedtimes and getting ready for big nights out, then a vanity unit can really make life easier. By choosing stone, you’ll get a bespoke vanity unit top which means you can truly make the most of your bathroom space. Stone bath and sink surrounds are another great way to give the finishing touch to your bathroom. Choose a matching stone to create the illusion of more space or go for a contrast to draw the eye and create a design statement. Practical and pretty, bath and sink surrounds give you the extra space you need for items in daily use, as well as providing somewhere to rest a wine glass or cup of tea during a long soak. Stone surrounds are waterproof, robust and easy to clean, making them the top choice for luxurious family bathrooms. Many people don’t realise that there’s no such thing as a well-fitting off-the-shelf stone worktop or vanity. As even new build houses can have slightly wonky walls or unusual dimensions, and each sink and tap needs its own, specially cut, hole, all stonework has to be done to measure. At Surrey Marble and Granite our expert stoneworkers manufacture, finish and polish all the pieces we create in our very own Surrey-based workshop. This means that we can create some truly unique pieces at affordable prices. Whether you’re looking for a bespoke solution for a small bathroom, something in keeping with a period property or simply like to be fully in control of your interior design, our team have the design expertise and practical stone working experience to create exactly what you need. Whether you’re refreshing an existing space or creating a new bathroom, choose something that will look as good as new for years to come. Stone is tough as rock, which means that worktops, vanity units, tiles and flooring made of stone are built to last – and look great at the same time. Our range of engineered stones are naturally waterproof, and thanks to innovative sealing technologies, we can ensure that even relatively delicate stones like white marble are fully sealed to be waterproof, stain resistant and easy to clean. Stone is hard to chip, crack or damage, making it an excellent choice if your bathroom needs to withstand the rough and tumble of family life. Very few stones are noticeably affected by sunlight, so you can avoid the patchy effect other materials can develop. As well as supplying high quality stone products for domestic use, Surrey Marble and Granite also supply builders and contractors. We offer cut stone, stone slabs, tiles and bespoke stonework at competitive commercial trade rates. Our stone is suitable for domestic, commercial and industrial uses, and we’re happy to provide our expertise to help you choose the right stone for the projects you’re working on. 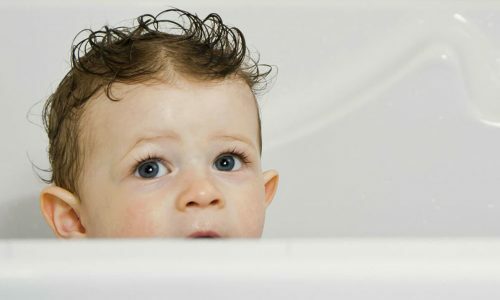 Creating a bathroom that moves seamlessly from toddler bedtimes to a relaxing soak to a romantic evening is easier than it sounds. Believe it or not, these three very different uses have a great deal in common when it comes down to the practical details.